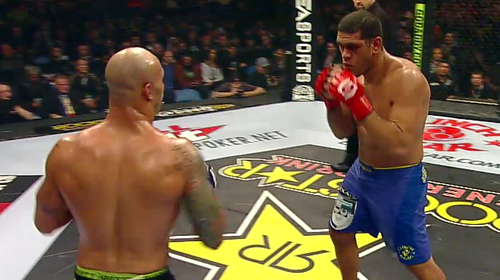 Strikeforce: Henderson vs Babalu II from December 4, 2010. Dan Henderson vs. Renato Sobral Strikeforce: Henderson vs. Babalu II Dec 4, 2010 (11:32) In a Strikeforce light-heavyweight title eliminator, former champ & BJJ blackbelt Renato “Babalu” Sobral, who owned 18 of his 36 career wins via submission stoppage, took on vaunted wrestler & knockout artist Dan Henderson, who owned 10 of his 26 wins by KO/TKO. Paul Daley vs. Scott Smith Strikeforce: Henderson vs. Babalu II Dec 4, 2010 (8:18) Someone was getting put to sleep with strikes as Scott “Hands of Steel” Smith with his 14 career KO/TKO wins was set to exchange explosive fists & feet with the returning Paul “Semtex” Daley with his 18 career KO/TKO wins. 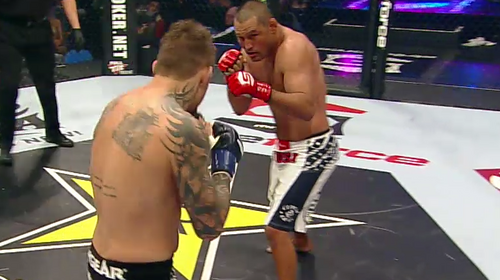 Antonio Silva vs. Mike Kyle Strikeforce: Henderson vs. Babalu II Dec 4, 2010 (13:44) Splitting the difference in his first two Strikeforce bouts, former EliteXC heavyweight champion Antonio “Bigfoot” Silva with his 14-2 MMA record was ready to collide with the power-punching Mike Kyle who was on a 6 fight unbeaten streak. Robbie Lawler vs Matt Lindland Strikeforce: Henderson vs Babalu II Dec 4, 2010 (7:24) A striker vs. grappler match-up between true MMA veterans as knockout artist “Ruthless” Robbie Lawler, with 14 of his 17 wins coming by KO/TKO, squared off with former US Olympic Greco-Roman wrestling silver medalist Matt “The Law” Lindland, who had a 22-7 record. Ovince Saint Preux vs. Benji Radach Strikeforce: Henderson vs. Babalu II Dec 4, 2010 (20:20) Testing out the deeper waters of the weight class, all-around athlete Ovince Saint Preux, who was riding a five fight win streak including two in Strikeforce, readied to rumble with veteran MMA striker Benji “Razor” Radach, who had finished 17 of his 21 career wins by KO/TKO.